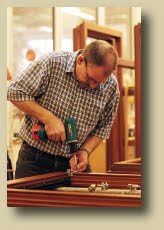 While many of our skills still focus on inspecting and finishing our custom windows and doors by hand, we have been utilizing state-of-the-art computer controlled machines for the past 20+ years. We continuously invest in keeping our craftsmanship and technology at the highest level in our industry. 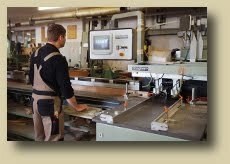 Roeder carpentry skills have been refined over many generations and are continuously passed on through a professional apprenticeship program. Our Master Carpenters take pride in teaching the upcoming generation of craftsmen the patience and attention to detail that is the foundation of our carpentry work. At Roeder Windows & Doors it is not about "getting product out the door", it is about making sure that every customer receives the best quality window and quality door possible. No shortcuts are taken. 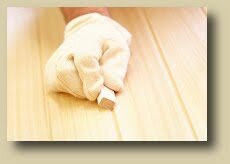 We use an elaborate 4-Stage finishing process to ensure a rich look and a smooth feel. We use the best available hardware on our custom window and doors to make every operation of our products easy and effortless for years to come. 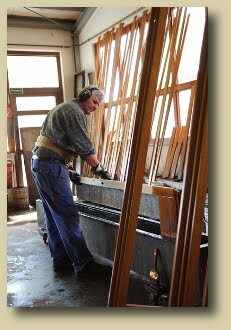 Our U.S. based staff completes extensive training programs at the factory in Germany to assure an understanding and appreciation for the craftsmanship tradition of Roeder Windows & Doors.